I remember the first time I watched InuYasha. It was back in my later teens (which I am often reminded is an increasingly long time ago). I actually caught its initial airing on Adult Swim, on Cartoon Network. It had a similar spirit to the anime I’d seen thus far, but a very different feel. This, alongside the likes of Trigun and Fullmetal Alchemist, helped me grow accustomed to the more mature content and themes which I have found in so many anime and other works ever since. 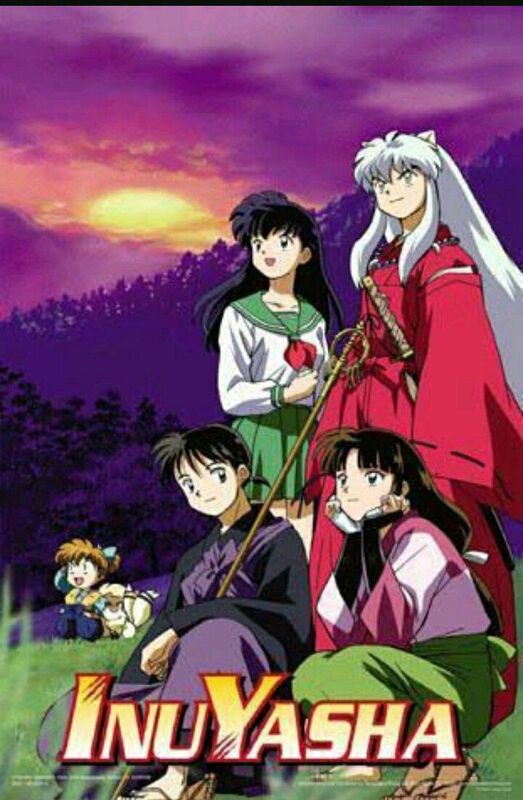 The premise of the show is that Kagome, a modern-day reincarnation of an ancient priestess, is mystically transported back to Japan’s feudal era, where she meets the titular half-demon Inu Yasha. Mere allies of convenience at first, the two must work together, both with each other and with some unusual friends, to defeat nefarious demons, protect the innocent, and reassemble a magical jewel they accidentally broke. Their adventures and their relationship come to define the both of them in ways neither might have expected. Of course, we, the audience, can read the writing on the wall. It’s a long-standing routine for the male and female leads to couple up, and even more so when they spend so much time fighting. By which, I mean screaming their heads off at each other. Exactly how that came to be one of the standard forms of romance, I have no idea, but whatever. In complete fairness, I don’t recall their relationship really making that much sense, either. I mean, what was the point where their quarreling became more attraction than hostility, and more affection than attraction? I recall a scene where the characters were trapped in their most terrible nightmares, and where others had tragedies haunting them, Kagome’s worst nightmare was seeing Inu Yasha with someone else. I could believe that happening eventually, but this was relatively early in the series, so, how and when did she become so attached to him so quickly? I remember thinking that it was being done like that just because, with no real reason to it. In that vein, there are a few things about the show which became predictable because it was so very repetitive. Main antagonist is at work behind the scenes, furthering some nefarious plot? Check. New powerful demons introduced via the destruction of some village, army, or other demons? Check. Demons are disdainful towards humans and half-demons, and then proclaim their shock at being defeated by such with their last breath, in the style of “HOW COULD A HUMAN AND A HALF-DEMON DEFEAT THE GREAT (insert demon saying their own name)? !” Check. So, clearly it must be said, InuYasha will not be the most original anime you’ll ever watch, not even within its own continuity. But, it must also be said that it’s entertaining anyway! Repetitive, it may be, but somehow it never grows stale. Most of all, there’s just something about the dynamic among the central cast, their friends, and, of course, the villain(s) which is just so riveting and enjoyable. Inu Yasha is naturally defiant and rebellious, and needs a strong hand like Kagome’s in his life. Shippo is adorable, Miroku is hilarious, and Sango is beautiful and strong. All of them together bear their burdens with courage and good cheer. They look after each other, and they’re a rather formidable force on the battlefield. They also, most of them, have a very personal stake in their extended conflict with the main villain, Naraku, who is so diabolical and devious, he makes for an excellent antagonist. That’s the main, central cast, but all of their friends, family, allies, enemies, frenemies (there are a few), are a delight to watch. It’s a large, colorful cast, believable and, well… human. All in all, I absolutely have to put InuYasha in the forward ranks of my favorites. This entry was posted in Anime and Cartoons, Tuesday Review and tagged InuYasha. Bookmark the permalink. 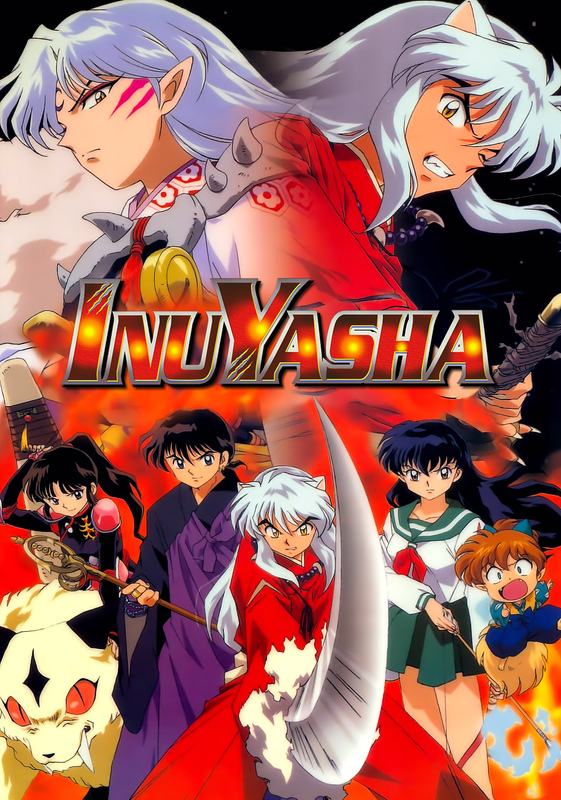 Inuyasha was definitely influential to my childhood/adolescence too! Despite the simple meta-plot, it has some themes that are quite mature and stimulating (to me as an elementary school student anyways, upon my first watch). And yes, phenomenal music! I love all the soundtracks, and can sing about half of the OPs/EDs. I’m doing my re-watch of it and I hope to review it soon. It’s definitely repetitive, but it’s also one of the most enjoyable anime that I have seen, mostly due to the abundance of themes in it, as well as the characters themselves (main cast and folks they meet along the way). It’ll be in my top five faves for a long time to come.